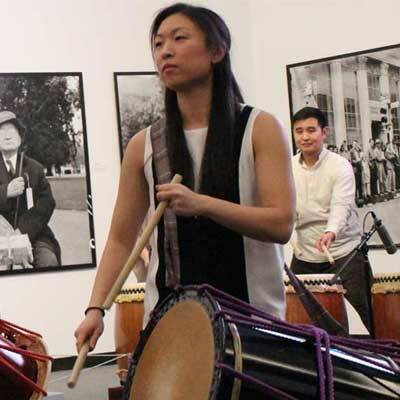 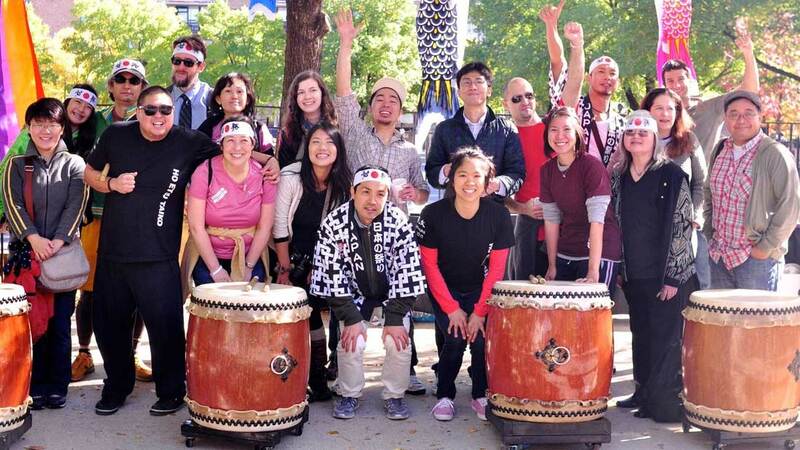 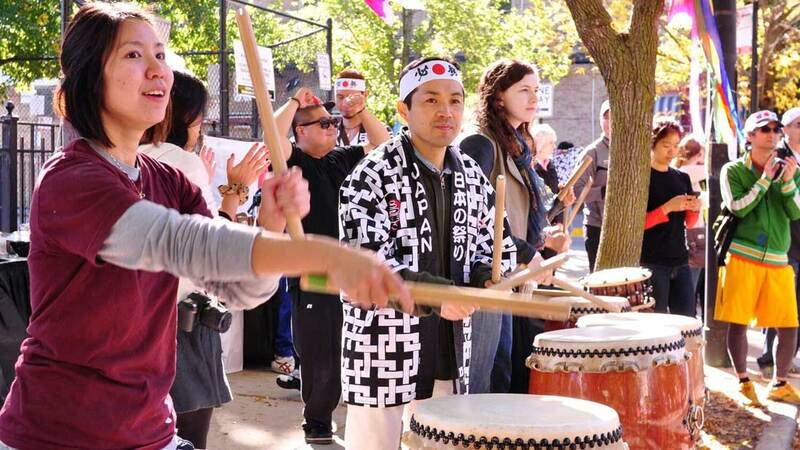 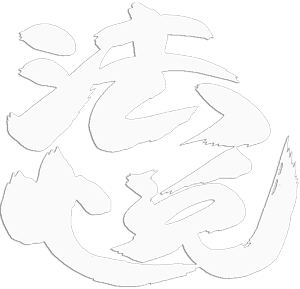 Ho Etsu joins the Chicago Sister Cities program to provide entertainment and rhythm for the Osaka Cheering Section at the Chicago Marathon. 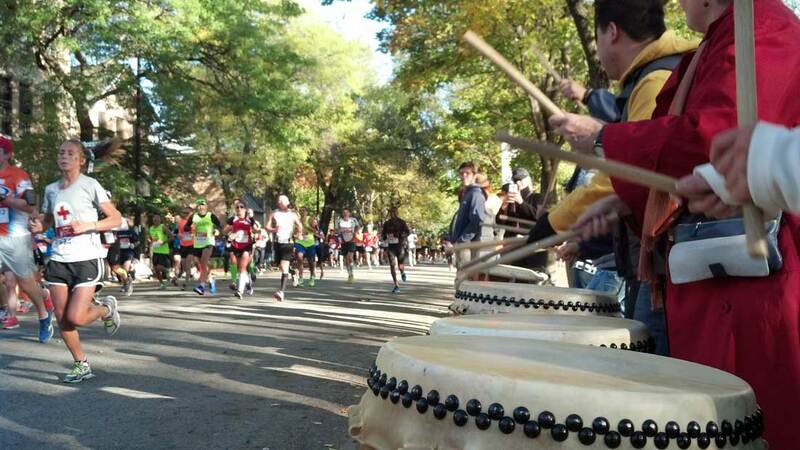 Each year, we bring our drums onto the street to encourage the thousands of marathon runners. 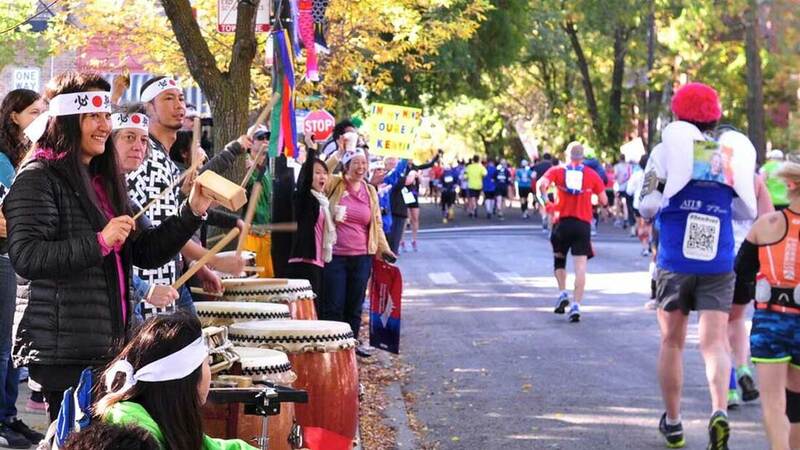 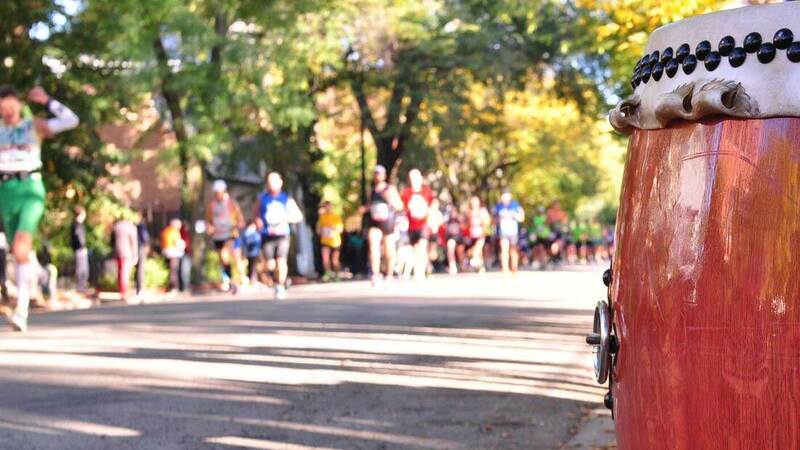 It’s become a tradition, one that regular marathoners look forward to as they power through all 26.2 miles of the race.